NeoStrata Skin Active Intensive Eye Therapy targets crow’s feet and puffiness with a clinically-proven formulation that helps build and plump the eye area while helping to reduce puffiness. This unique SynerG Formula 6.0 employs a multi-mechanistic approach to building and plumping the deep layers of the skin for exceptional results. Apple Stem Cell Extract protects the longevity of skin’s own stem cells so your skin behaves like younger skin. Peptides stimulate matrix components to produce more collagen, and together with patented NeoGlucosamine® reinforce collagen’s surrounding support structure. The eye area appears more lifted, and crow’s feet are smoothed from the inside out. NeoGlucosamine® also inhibits a key enzyme in melanin formation, reducing the appearance of uneven pigmentation. Caffeine helps deflate puffiness under the eye, while hyaluronic acid acts as a natural moisture magnet. Vitamin E provides antioxidant benefits. 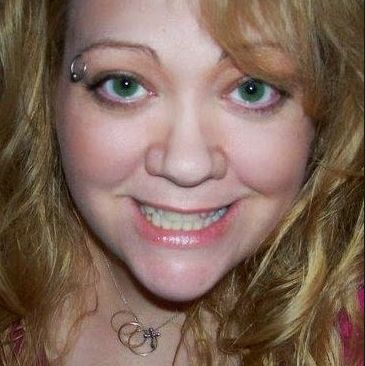 The result is noticeably younger looking eyes. Ophthalmologist tested. Percentage of respondents. Data on file, NeoStrata Company, Inc.
Key Ingredients: SynerG Formula 6.0, Apple Stem Cell Extract, Peptides, NeoGlucosamine®, Caffeine, Hyaluronic Acid, Vitamin E.
NeoStrata Skin Active is a comprehensive antiaging system of potent professional products with active benefit ingredients that work synergistically to address the broadest spectrum of visible signs of aging. The NeoStrata Skin Active system is made up of high-performance products, each formulated to deliver outstanding rejuvenating effects, including significant improvement in the appearance of deep wrinkles, crow's feet, sagging and uneven pigmentation. 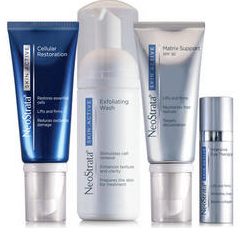 The full size product can be purchased from www.neostrata.com for $79. NeoStrata skin care products improve the visible signs of aging and treat dermatological conditions including acne, dry skin, hyperkeratosis, skin clarity and more with advanced hydroxy acid technology including Alpha Hydroxy Acids (AHAs), Polyhydroxy Acids (PHAs) and Polyhydroxy Bionic Acids. Aqua (Water), Dimethicone, Cyclopentasiloxane, Polysilicone-11, Acetyl Glucosamine, Glycerin, Cyclohexasiloxane, Nylon-12, Silica, Octyldodecyl Stearate, Tocopheryl (Vitamin E) Acetate, Palmitoyl Oligopeptide, Palmitoyl Tetrapeptide-7, Sodium Hyaluronate, Caffeine, Malus Domestica Fruit Cell Culture Extract, Butylene Glycol, Lecithin, Isohexadecane, PEG-10 Dimethicone, Caprylyl Glycol, Polysorbate 40, Sorbitan Isostearate, Polysorbate 60, Citric Acid, Hydroxyethyl Acrylate/Sodium Acryloyldimethyl Taurate Copolymer, Isostearic Acid, Ammonium Polyacryloyldimethyl Taurate, Xanthan Gum, Chlorphenesin, Phenoxyethanol, Caramel, CI 19140 (Yellow 5). Gently apply on the area around the eyes. Use once daily for two weeks, then twice daily thereafter. This unique formula employs a multi-mechanistic approach to building and plumping the delicate skin in the eye area. Containing apple stem cell extract, this eye cream protects the longevity of the skin as own stem cells so your skin behaves like younger skin. Peptides stimulate matrix components to produce more collagen, and together with patented neo glucosamine, reinforce collagenas surrounding support structure. Smooths fine lines while giving a lifted appearance. Caffeine helps to deflate puffiness. Hyaluronic acid provides hydration. Vitamin E provides antioxidant protection. 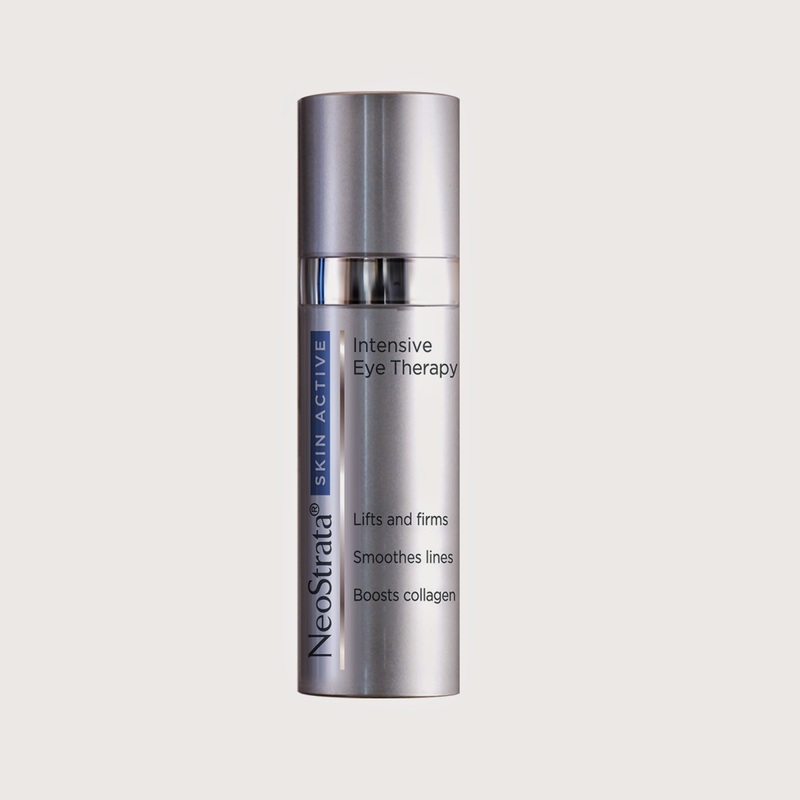 I was very excited to get to try NeoStrata Skin Active Intensive Eye Therapy. Right away I loved how it felt on my eye area after I applied it.I apply it Twice a day, when I wake up in the morning and right before I go to bed at night. My eyes are less puffy, look more moisturized and the fine lines I use to see are not there. I think it plumps up the skin just a little so that you don't look puffy but your fine lines are not visible. The discoloration around my eye area is less and less as I continue to use this eye therapy.